Melbourne Stars players Rob Quiney and David Hussey with local resident, Jack, at a previous Melbourne Stars' Casey Family Fun Day. 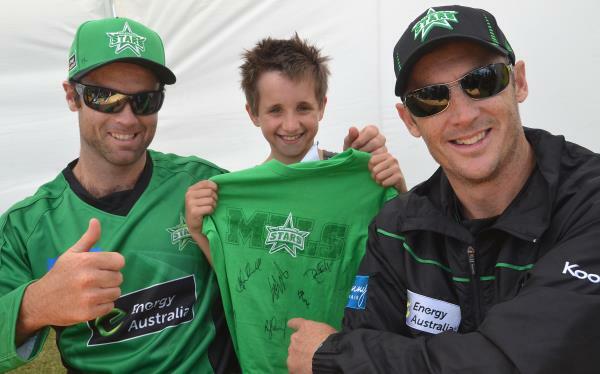 THE Melbourne Stars Casey Family Fun Day is back for a third year in 2014, with some of the best cricketers in the country expected to attend the event. Casey Mayor Mick Morland has encouraged residents to bring their family and friends along for the occasion. Cameron White, Kevin Pietersen, David Hussey and James Faulkner are all expected to be there for the big day. – Sunday 14 December at Casey Fields from 10am to 3pm. For more information, visit www.casey.vic.gov.au/arts-leisure/melbournestars or www.melbournestars.com.au. THE second annual walk will start at Dandenong Market and proceed through central Dandenong to the Dandenong Civic Square. Participants will hear from former Police Chief Commissioner Christine Nixon and other representatives from the courts and community about family violence’s impact and how to stop it. – The Kitchen at Dandenong Market, corner Clow and Cleeland streets, Dandenong. Friday 28 November, 10am to noon. ENDEAVOUR Hills Neighbourhood House is now taking enrolments for three-year-old pre-kinder for 2015. -The Endeavour Hills UC Neighbourhood Centre is located on the lower level, 10 Raymond Boulevard. For bookings and information call 9700 3789. THE Endeavour Hills Neighbourhood House is holding classes in meditation, jewellery making (both kids and adult classes), beginners’ computer, Zentangle art and Make Your Own Dreamcatcher. – Endeavour Hills Neighbourhood Centre, 10 Raymond McMahon Boulevard. To enrol for term four call 9700 3789. THE Hallam Community Learning Centre is holding computer courses for the community. People can participate in courses for beginners and seniors, studying Windows 7 and 8, Word, internet and email. Subsidised iPad and comprehensive computer administration courses are also available. – Hallam Community Learning Centre, 56 Kays Avenue, Hallam. For more information contact 9703 1688. THE Casey Kids Carnival will be held next year. Stay tuned to the City of Casey website for more information on this upcoming free event, which includes rides, children’s entertainment, local performers, market stalls and much more. THE Spirit of Christmas with Silvie Paladino is coming to Dandenong. She’ll sing hits from musical theatre and favourite Christmas songs, accompanied by David Cameron on piano. – Drum Theatre, corner Lonsdale and Walker streets, Dandenong. Wednesday 26 November and Thursday 27 November, 10.30am. The show is 80 minutes with no interval. Tickets are priced from $14.50. THE Game On Basketball Program is for 12 to 25-year-olds who enjoy basketball and breakdancing. Participants can join in the casual basketball games with their own team or join another team and there’s a large stage for breakdancing rehearsal. City of Greater Dandenong’s Youth Services runs the free program. – Noble Park Community Centre, Memorial Drive, Noble Park. Mondays, 4.30pm to 7pm, except public holidays. Call 9793 2155 or Facebook message www.facebook.com/cgdyouthservices for more information. ALEX Wilkie Nature Reserve will host open days every Friday and the third Sunday of the month during spring and summer. Park rangers are available for guided tours or guests can take a ride on a live steamers mini-train. 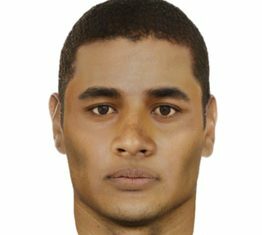 – Alex Wilkie Nature Reserve, Mackay Street, Springvale South. Bookings are essential. Call 8571 1702 for more information. SISTER artist duo Clare and Kate James will demonstrate making wreaths and Christmas decorations. All materials will be provided. – Heritage Hill Museum and Historical Gardens, 66 McCrae Street, Dandenong. Thursday 9 December, 10am to 1pm. Participation is $10. Bookings are essential. Call 9793 4511 or email heritagehill@cgd.vic.gov.au. SPRINGVALE Neighbourhood House is welcoming new members to its Friday walking group. The beginners group for people of all fitness levels walks to a local place of interest and back, within an hour. All walkers are issued with a map and can walk at their own pace. – Springvale Neighbourhood House, 46-50 Queens Avenue, Springvale. Fridays 21 and 28 November, 9.30am. Call Melanie Virtue on 9548 3972 for more information. THE Heritage Hill gardeners have planted some rare and significant plants towards the front of the Laurel Lodge gardens. Visitors can take a self-guided tour of the gardens or can arrange to visit as a group. – Heritage Hill Museum and Historic Gardens, 66 McCrae Street, Dandenong. Monday to Friday, 10am to 4pm and Sunday noon to 4pm. Call 9793 4511 to book.